While it’s true that Apple has missed its chance to hop on board the steadily accelerating virtual reality train early on, iPhone users can still enjoy thrilling VR experiences and popular apps such as YouTube 360 and Facebook’s 360 videos. The only requirement is a good iPhone VR headset, like one of our top seven best iPhone VR headsets in 2019 featured in this article. Carl Zeiss is a German manufacturer of optical systems, known primarily for their camera and eyeglass lenses. It was only a matter of time before the company decided to release their own VR headset, and we’re definitely glad that it’s finally here. 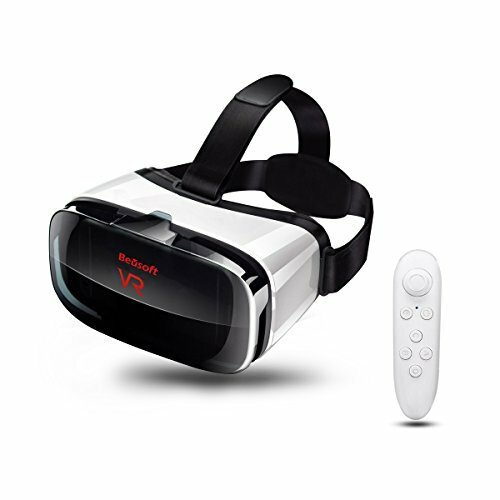 The VR ONE Plus headset is a sleek headset made from durable plastic. It features Zeiss optics, a removable head strap, as well as support for smartphones from 4.7” to 5.5”. It’s one of only a few VR headsets that are eyeglass compatible, which is a great plus. Zeiss has built ventilations ports into the headset to prevent the lens from fogging, and the openings in the smartphone tray allow the sound coming from your iPhone to reach your ears clearly and loudly. Compared to most other VR headsets on the market, the VR ONE Plus stands out because users don’t have to make any mechanical lens adjustments to account for different interpupillary distances. In practice, this means that some users won’t be able to achieve a good fit at all while others will enjoy it right out of the box. With lenses made from high-quality PMMA glass, this VR headset offers up to 30 percent better clarity than headsets with ordinary lenses. The increased image clarity makes it less likely for users to experience dizziness and motion sickness, allowing for long, uninterrupted virtual reality adventures. Even experience manufacturers often neglect the importance of proper padding and cushioning in regards to comfort. The Beusoft headset has been ergonomically designed for maximum comfort and fast heat dissipation. There are ventilation holes on every side of the headset, preventing you from sweating and the lenses from fogging. 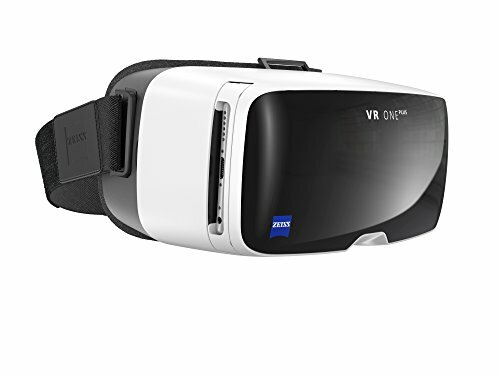 You can use the Beusoft VR headset with smartphones from 4.5” to 6.3”, including the iPhone 6, 6 Plus, and 7. It’s possible to adjust the optical elements inside the headset to compensate for vision differences, making it possible for you to leave your glasses on the bedside table while you explore virtual worlds. The headset comes with handy remote controller, but, unfortunately, the controller only works with Android smartphones—not iPhones. That being said, the headset itself is 100 percent iPhone compatible. 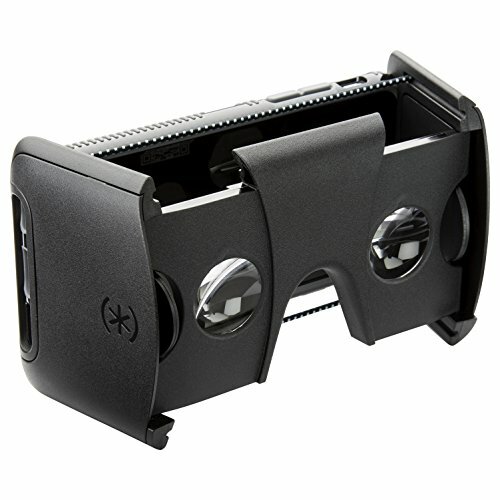 If you fancy a highly portable VR headset, the Speck Pocket VR fits the bill very nicely. Its key feature is the ability to fold flat, allowing it to fit into any pocket. It has an integrated lens protection mechanism, which automatically retracts or releases a pair of side panels that protect the lenses from dust and scratches. The headset also comes with the CandyShell Grip iPhone case. This case features raised rubber grips for confident control, and you can use it with or without the headset. Given that you basically get two high-quality products—a VR headset and an iPhone case—for the price of one, the Speck Pocket VR is a fantastic deal that you can’t afford to miss. At first sight, the 2VR headset looks very familiar. 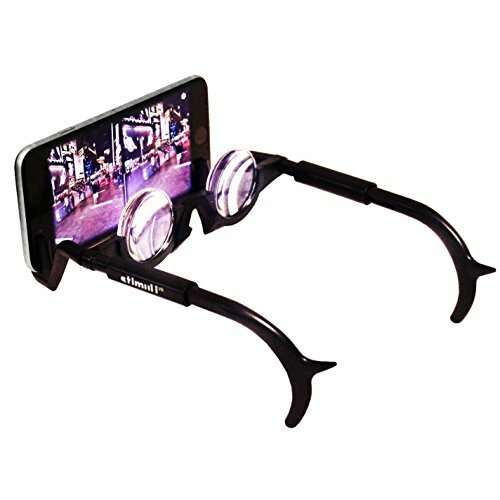 That’s because it’s really just a pair of glasses with special optical elements and a cleverly designed smartphone mount. The 34mm lenses offer wide field-of-view and crisp visuals, while the smartphone mount can fit any smartphone with 4”-6” screen size. The headset is foldable, made from durable plastic that doesn’t break even when bent. When used without the included fabric cover, the headset makes it possible to experience what virtual reality is about without losing track of the real world. But install the fabric cover, and you instantly experience a true sense of presence as the world around you disappears. The original Google Cardboard virtual reality headset has introduced an entire generation of people to VR, and it continues to sell remarkable well even after the launch of Google Daydream, a virtual reality platform developed by Google for Android Nougat. These days, there are countless third-party manufacturers who make Cardboard-compatible headsets of varying quality. 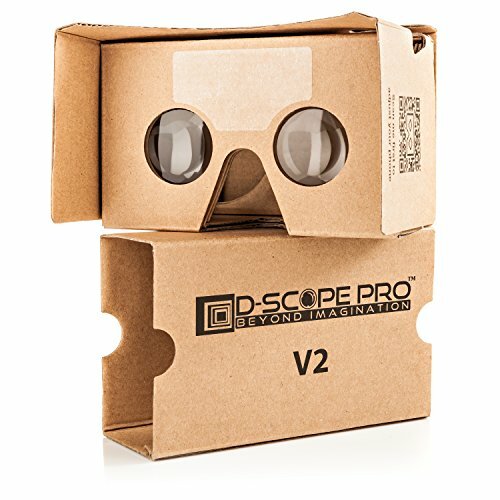 One of the best-rated manufacturers is D-SCOPE and its D-scope Pro V2 headset with straps. It can fit all smartphones up to 6”, including iPhone 5, 5c, 5s, 6, 6s, 7s, and 7 Plus. The headset is super affordable, easy to setup, and the image quality it provides is surprisingly great for something made from cardboard. As we mentioned already, since the iPhone just doesn’t have virtual reality support, you might want to consider other avenues to try out virtual reality. If you’re looking for an excellent virtual reality experience, and already own a PlayStation 4, the PlayStation VR can be one of the best choices. The PlayStation VR allows you to really dive into the immersive world of a video game like you haven’t before. It’s one of the more expensive options on the market, requiring you to buy a PlayStation VR and a PlayStation 4, but provides you with an insanely high quality experience that doesn’t take up a hole lot of setup. The PlayStation VR does come with its own display, but even still, it requires a PlayStation 4 to function, along with games that are considered to be PlayStation VR compatible. PlayStation VR probably has one of the largest brands as far as virtual reality goes, and as such, you have a wide variety of games that you can choose from. Or, if you don’t like the PlayStation experience, you can try out a PC-based version of virtual reality — the HTC Vive. The HTC Vive is one of the best choices to bring about virtual reality on the computer. HTC has some great software support with it, continually upgrading the software with more and more features. HTC and Valve actually worked together to create this one, intermingling the HTC Vive with the Steam operating system. That means that you get access to a massive arsenal of VR-based games. Some of them even have demos as a “try before you buy” sort of experience. 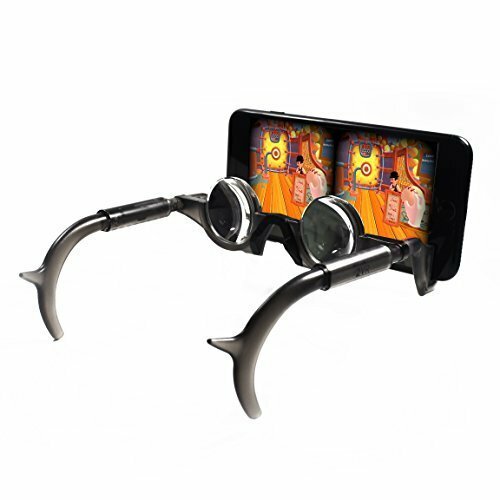 As you can see, there are some excellent virtual reality headsets available for the iPhone. The iPhone itself doesn’t have a virtual reality platform that it runs on; however, you can use other virtual reality headsets to at least view 360-degree videos with. Some VR platforms might have their own system that they run off of, so you may still get some VR function with some of these, but just keep in mind that iOS just doesn’t have its own VR setup. Do you have a favorite VR headset that you use with the iPhone for viewing 360-degree videos? Let us know in the comments section below!